Welcome to Magazine Monday: Florida Style. From October 1971 it’s the Elks Magazine. 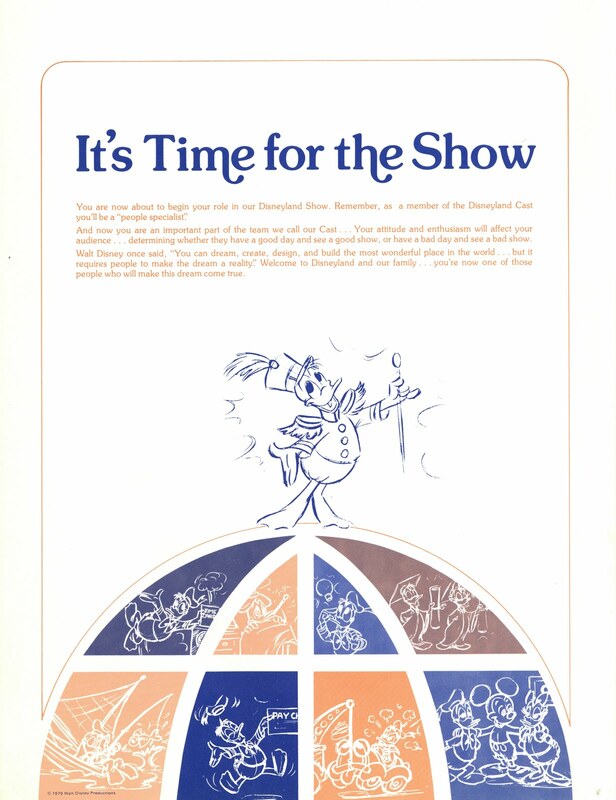 Nothing is more fun than an organization led by a Grand Exalted Ruler, sounds kind of “Freemason-like” to me. Anyway, they made a pretty decent magazine, so put on your Grand Poobah hat and enjoy. The first two pages need to be presented together so you can get the full effect. 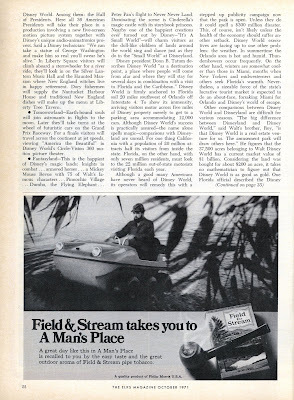 Further below you’ll find each page separately scanned and easier to read. 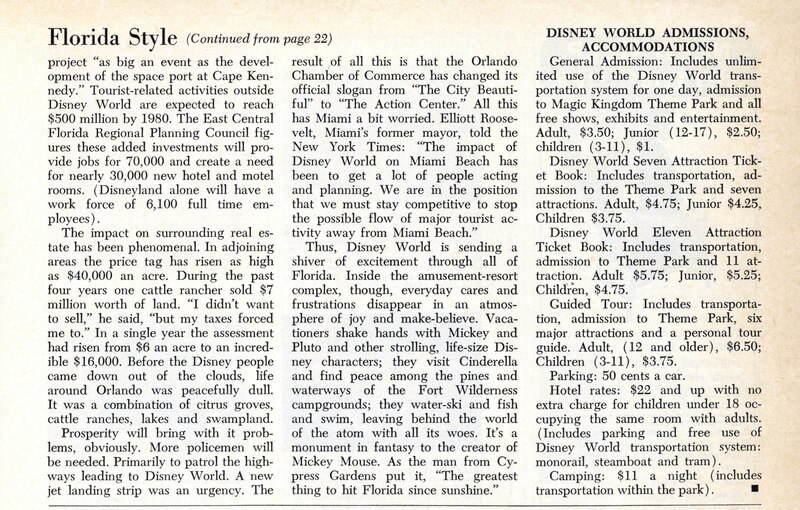 There's a lot of detail in this article, its like all the early press releases rolled into on big article. 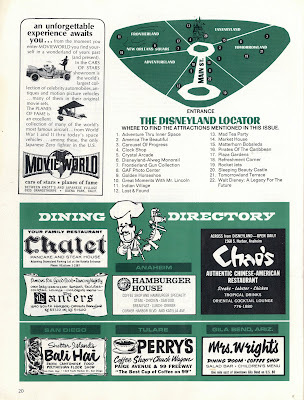 Ticket prices just a little higher than Disneyland of 1971 - WDW is bigger but you get less A thru E tickets than Anaheim! 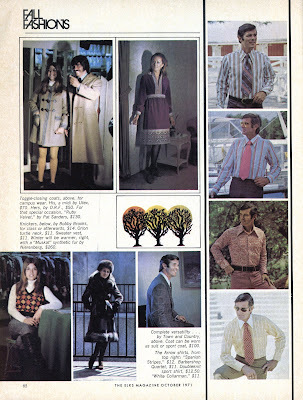 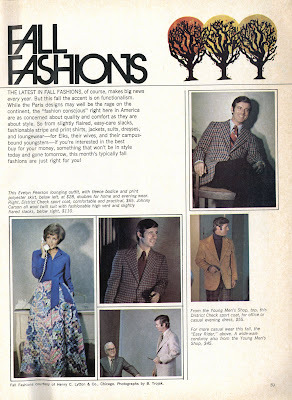 Imagine yourself in these fine Fall Fashions. 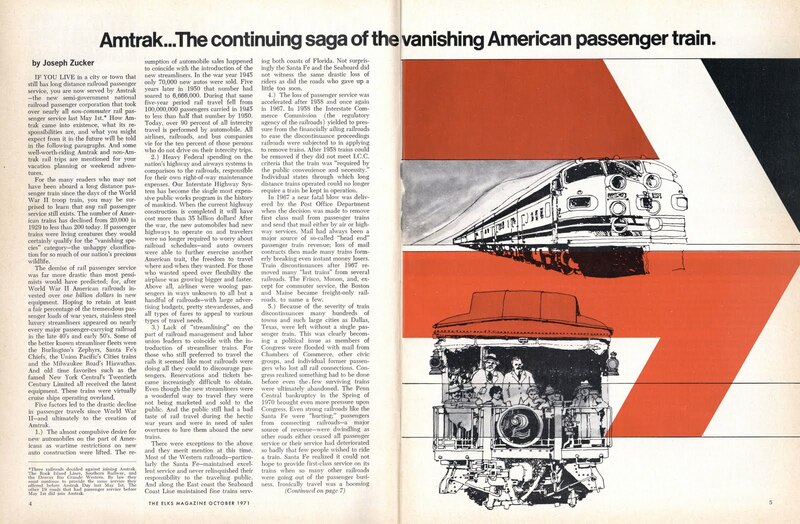 I hope you like trains, here’s a very rich and in-depth article which spells out in great detail what happened to the US railway system, fascinating. 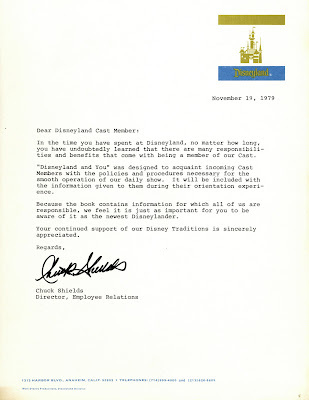 Art Linkletter’s note to the public, it's sad that we lost him this year. Welcome to Bonus Sunday. 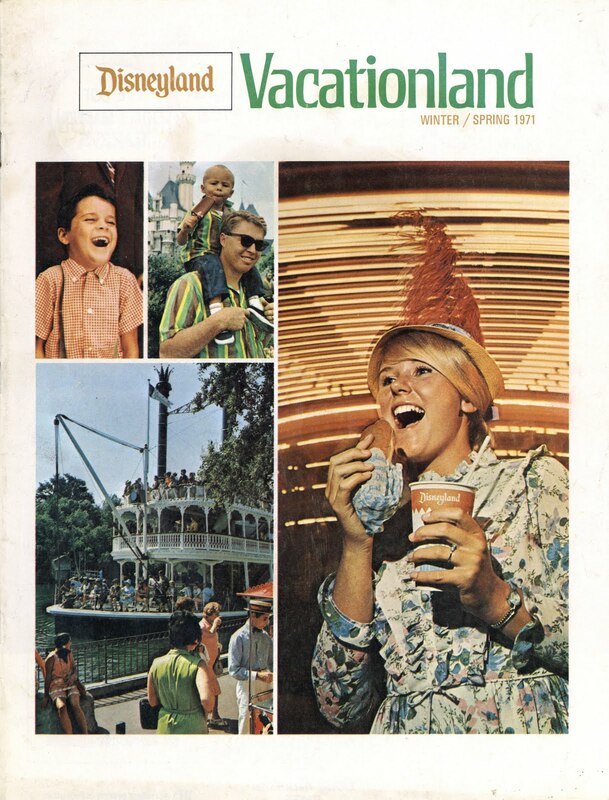 We’ve got a nice “Tencennial Celebration” edition (with a neat Jack & Jill Motel stamp) of Vacationland for your reading pleasure today. 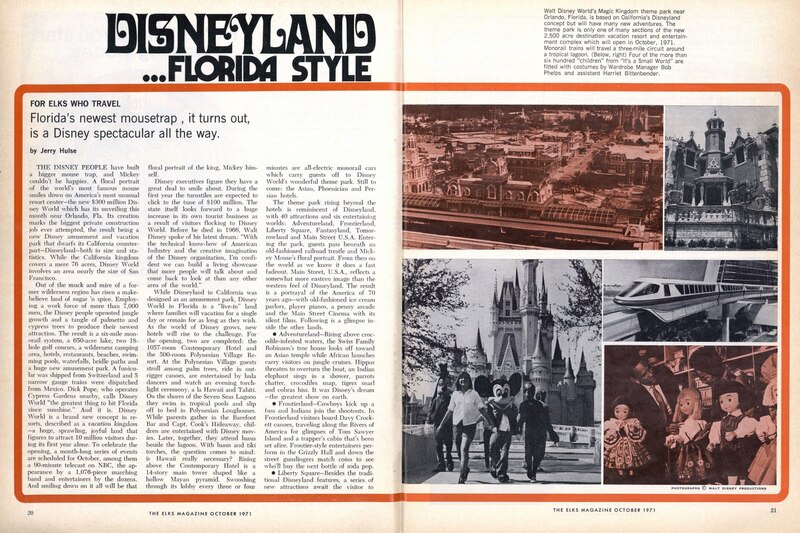 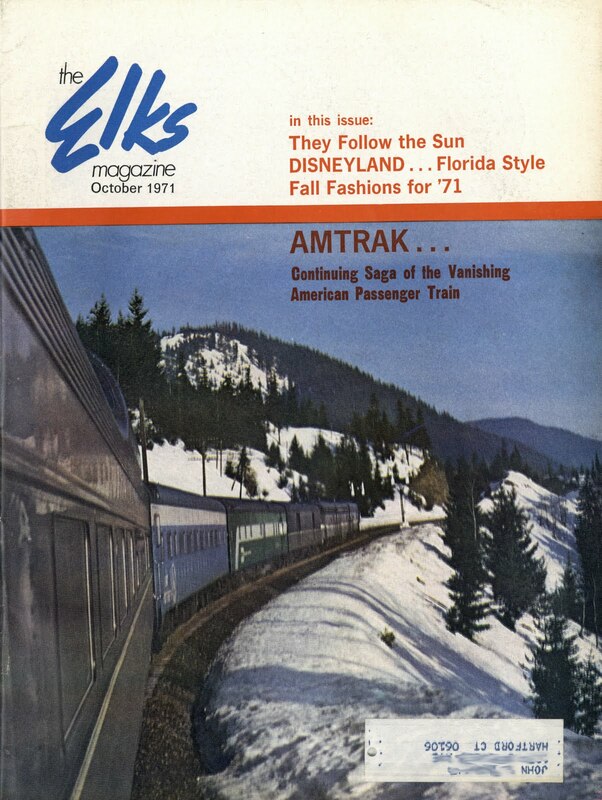 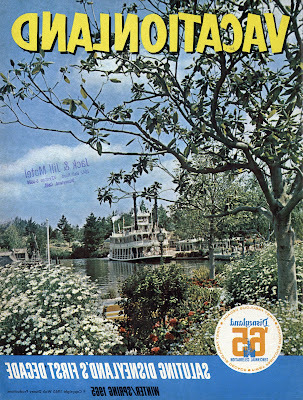 This same Winter/Spring 1965 cover photo was later used on the Winter/Spring 1968 Vacationland (link) and it was also flipped horizontally in 1968 as it is here in 1965. 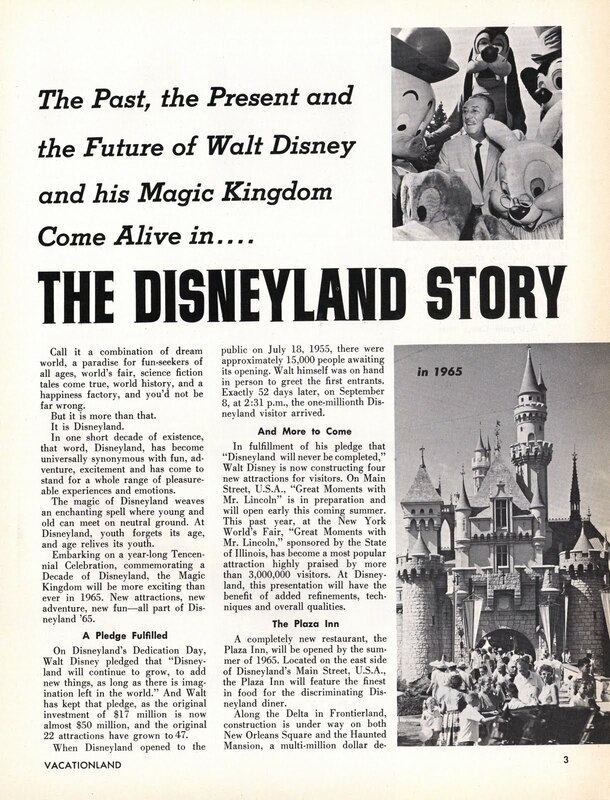 Possibly it was a mistake the first time in 1965, but again in 1968? 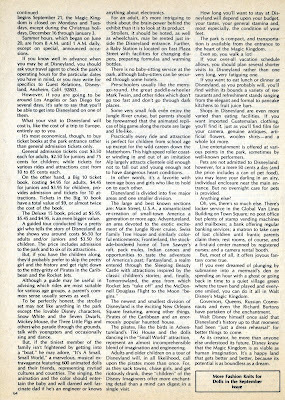 Download the entire issue here; there are a couple of really good articles in this one. 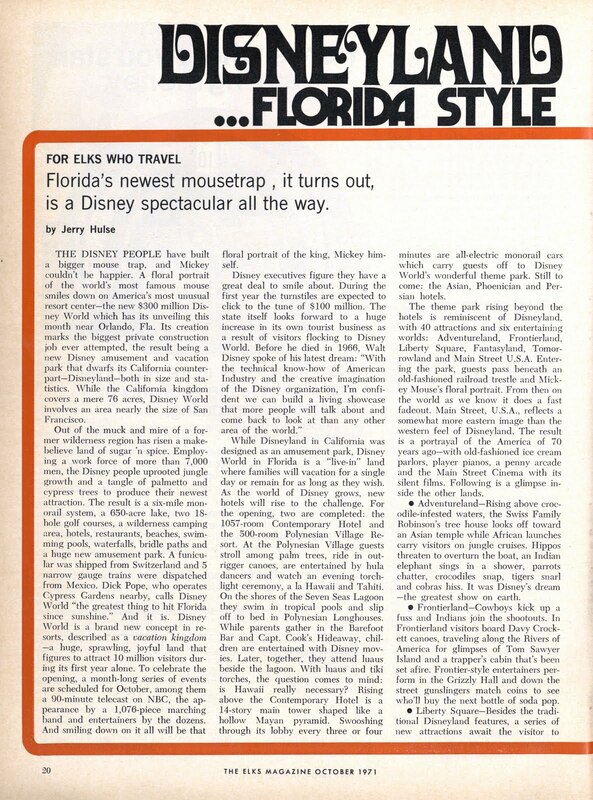 This five page article is exceptional even for a Vacationland; you’ll have to download the entire issue to read the rest. 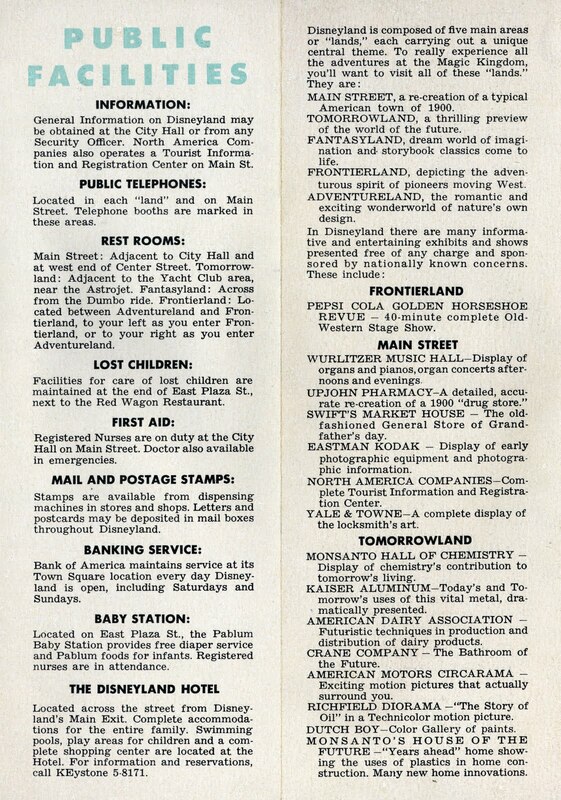 Sweet "before & after" 1955 - 1965. 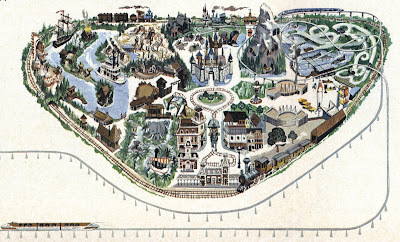 Taken from Walt's apartment? 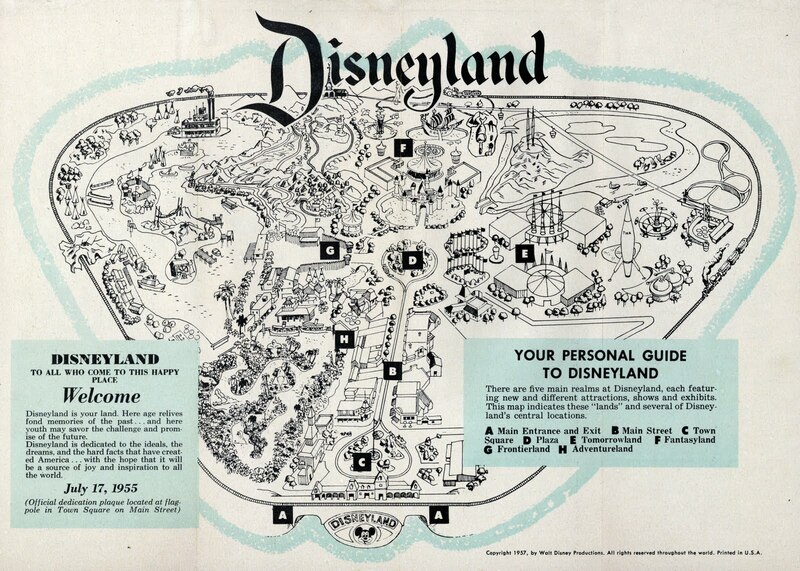 Here’s a close-up of the park map from the centerfold above. 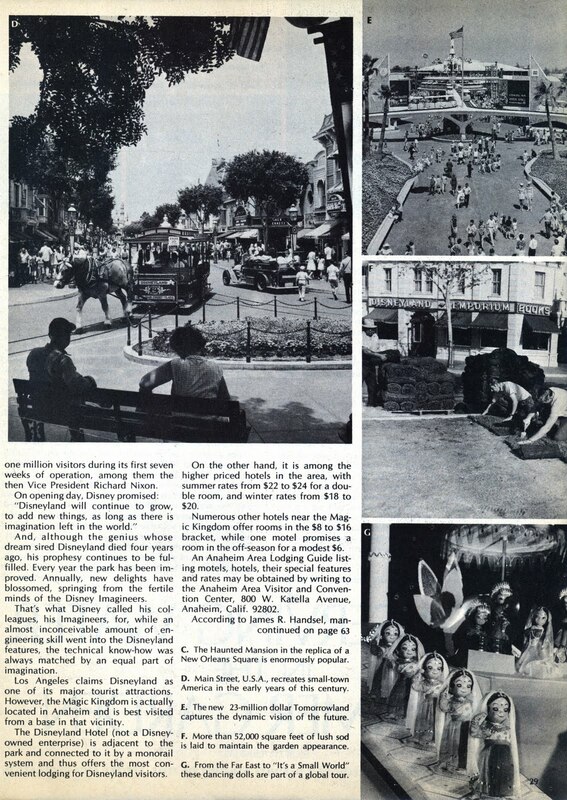 So many things wrong; a Huge Indian, The Plantation House (in 1965? ), Dumbos’ apparently really do fly, the Skyway Chalet is massive, where’s the House of the Future?? Oh what the heck, I like this map so much I don’t care if it’s not so accurate. 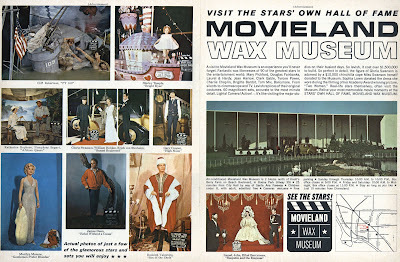 These "actual" photos don’t make the wax dummies too good, Marilyn Monroe and James Dean look way off. 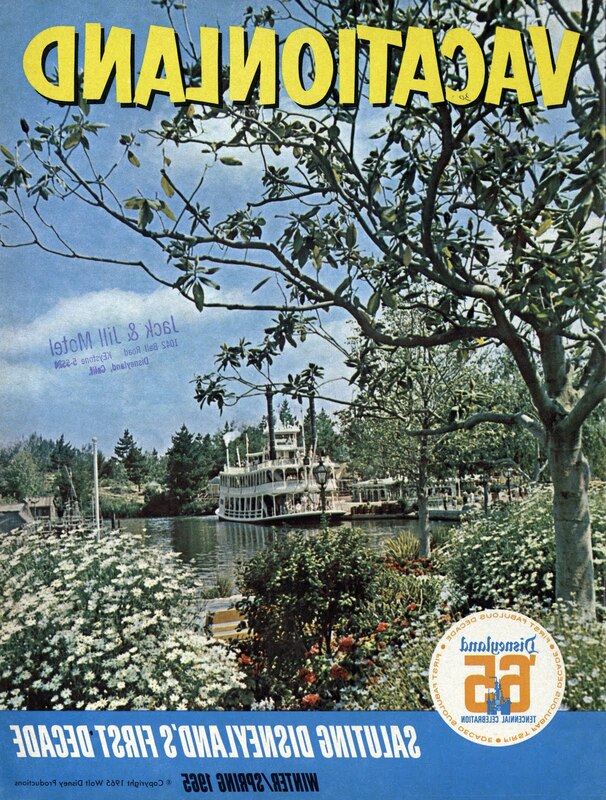 The Main Streeter tells us there's a new Haunted Mansion attraction going up in Frontierland – only four years to go! 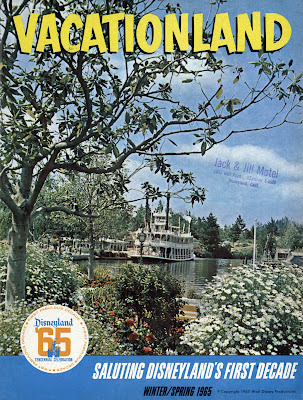 This old Jack & Jill postcard could be from 1965, it came with this issue of Vacationland (Thanks again mystery donor – these issues are amazing). 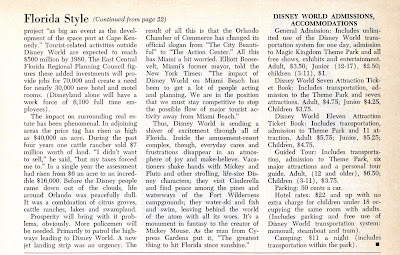 According to the Internet (link) it seems the motel is still open for business, it’s now called the “Budget Inn”. 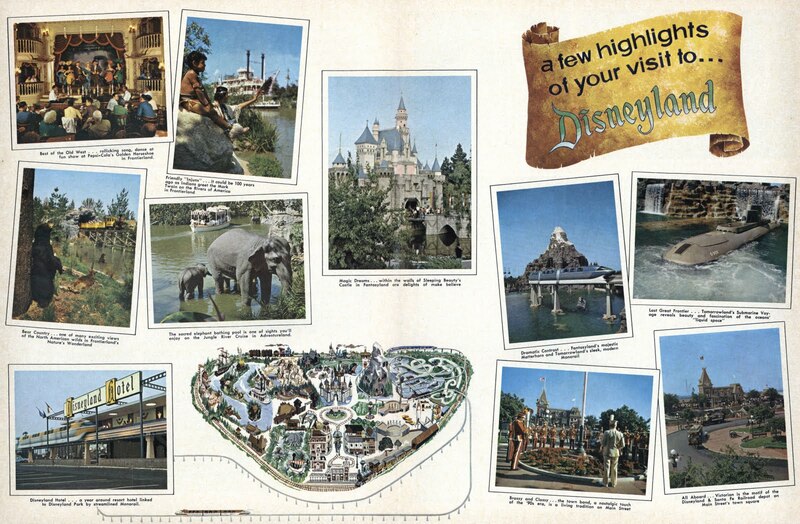 Here’s a “Now” postcard I made from photos I found on the web. 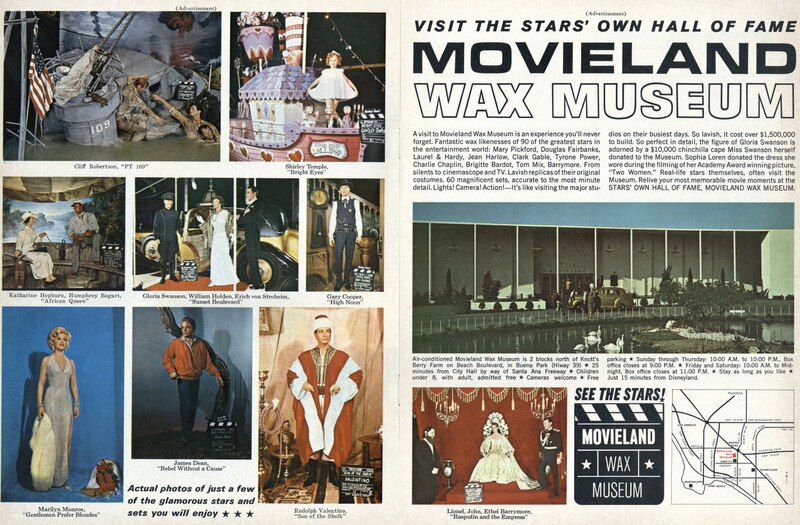 The backside of the vintage postcard. Time for another Trip Report, gotta get the most out of my Annual Pass! 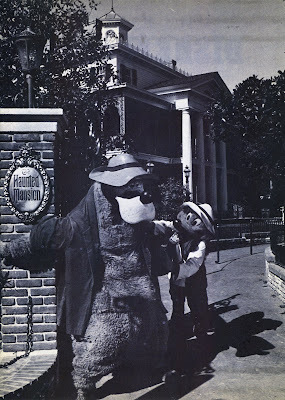 Click on the link below if you'd like to take a little early morning trip to the park with me. 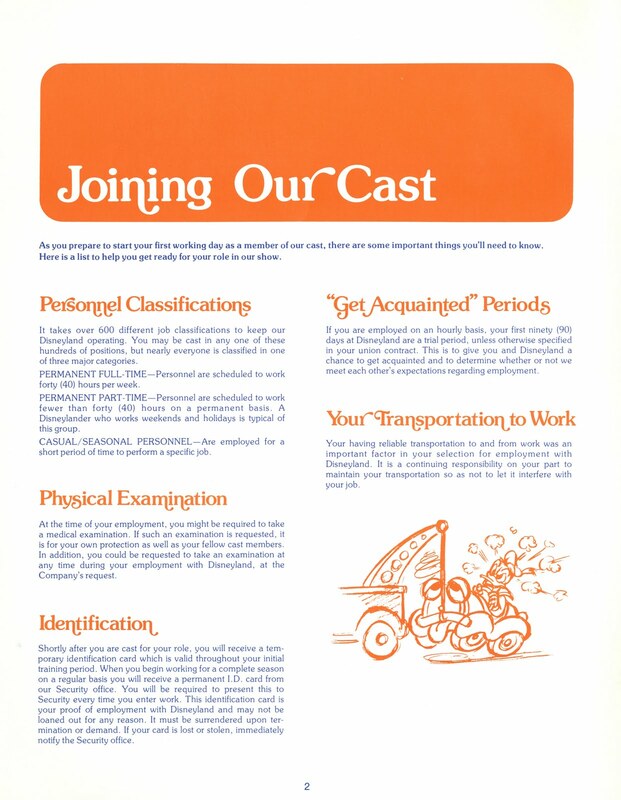 This cool ElecTRONica flyer was handed out with the parking lot ticket. 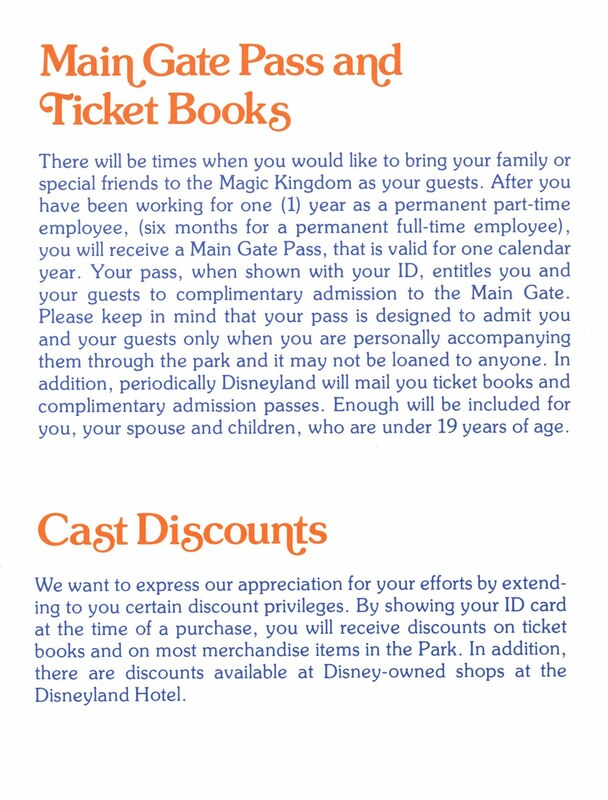 "TRON: Legacy" starts December 17th! It's time for another Magic Mountain post. Located only two gallons north of Hollywood. 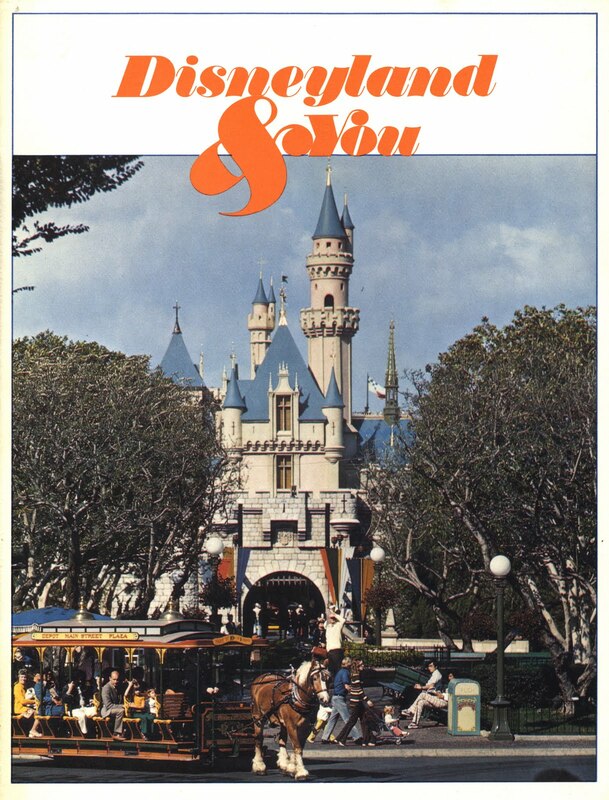 Boy do I love that “Magic Mountain” type style; it makes me feel warm and fuzzy. 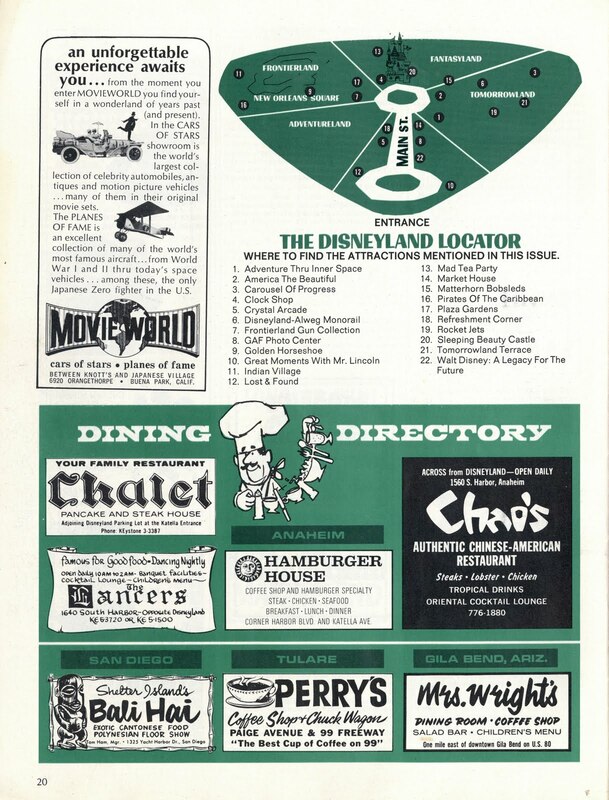 This "Un-Dollar" coupon was for the 1974 summer season. 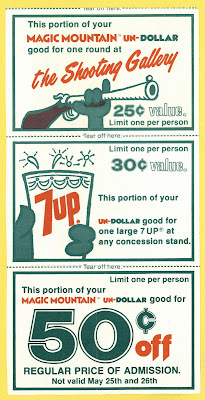 7up was a “Day One” sponsor for Magic Mountain; in fact the theater was called the “7up / Dixi Cola Showcase Theatre”. 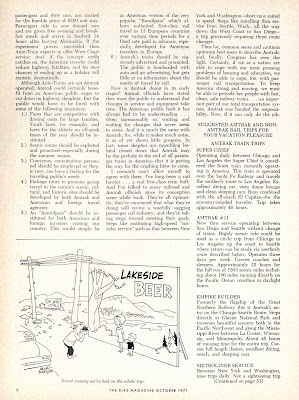 Dixi Cola? 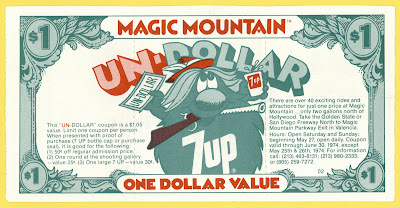 Here’s your coupons, that’s right this “Magic” Un-Dollar is really three coupons in one that are worth a total of $1.05! As I recall the shooting gallery was pretty good. One large 7up was only 30¢, why is it $3.50 now? 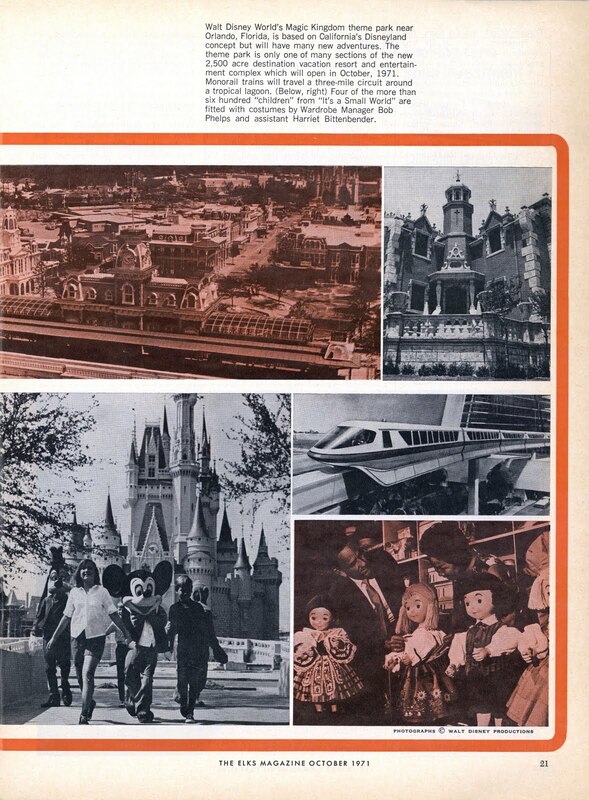 Here's a fun early Disneyland flyer. 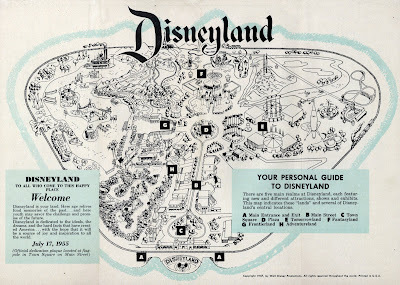 This 1957 flyer and map is almost identical to the 1956 flyer I posted a couple of weeks ago (link). 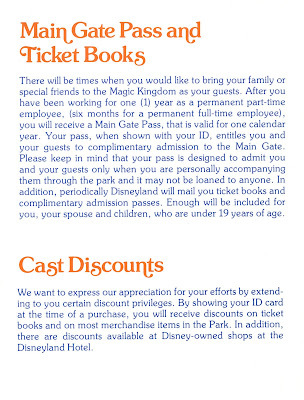 Good luck spotting the differences! 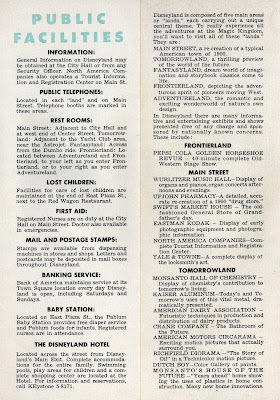 The 1957 version is about an inch smaller and lists the House of the Future (however it's not on the map!). 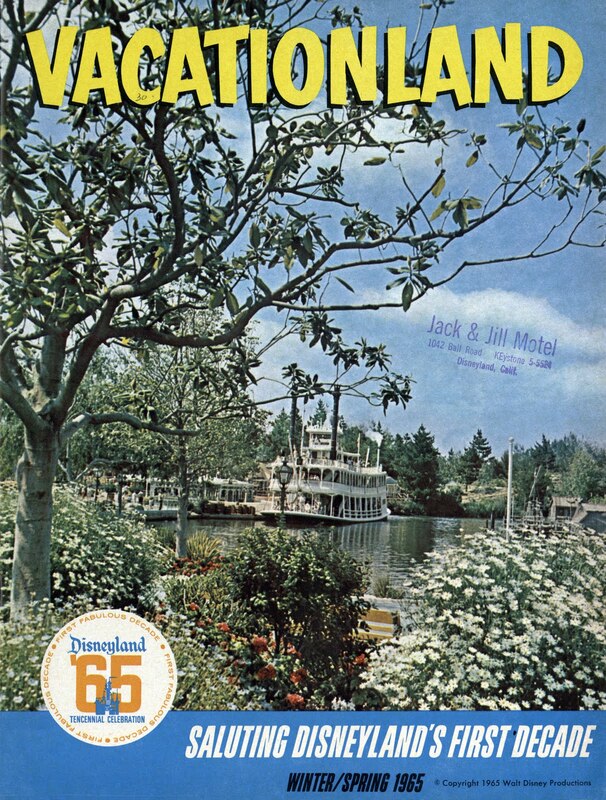 Welcome to a special Mystery Edition of Magazine Monday. 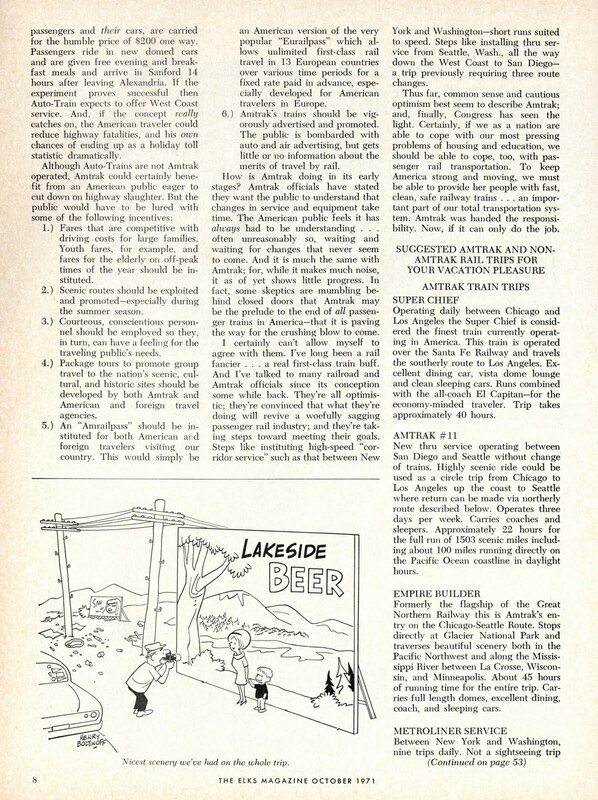 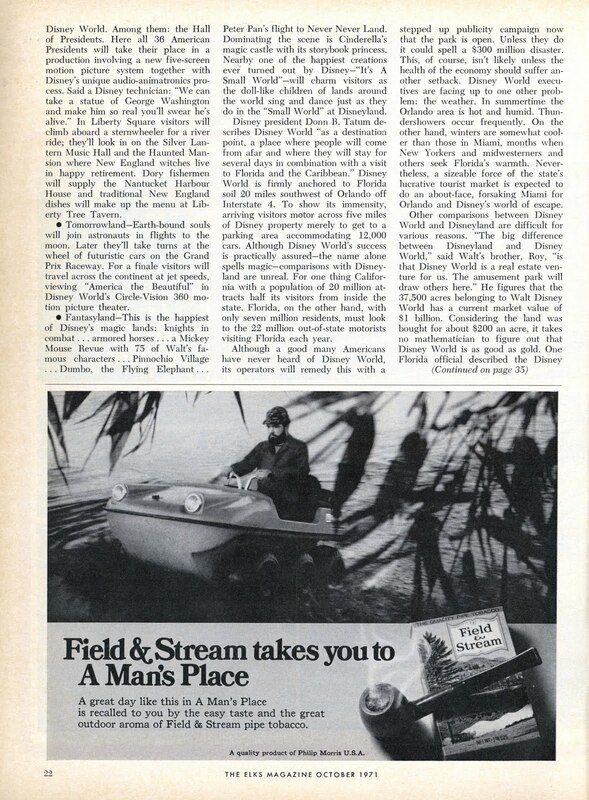 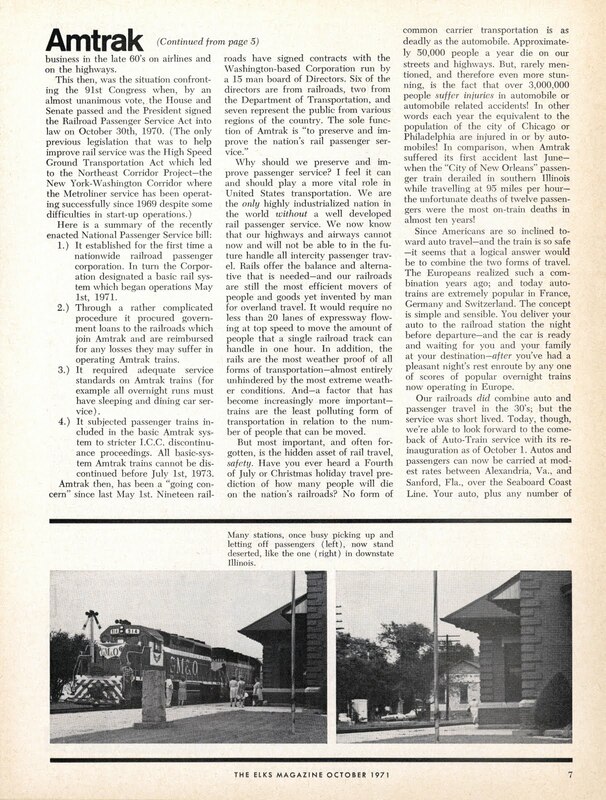 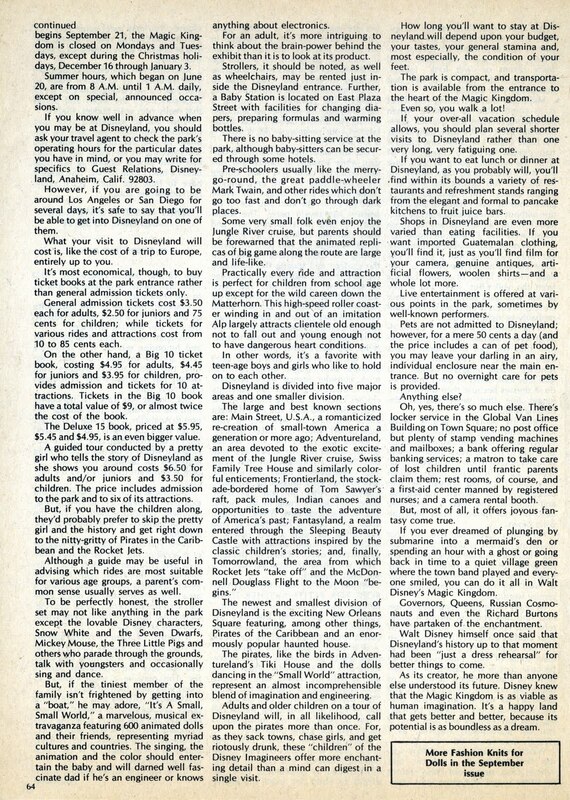 Today’s mystery is “What magazine is this article from?” A hand written note on the second page of this article tells us it’s from August 1971. 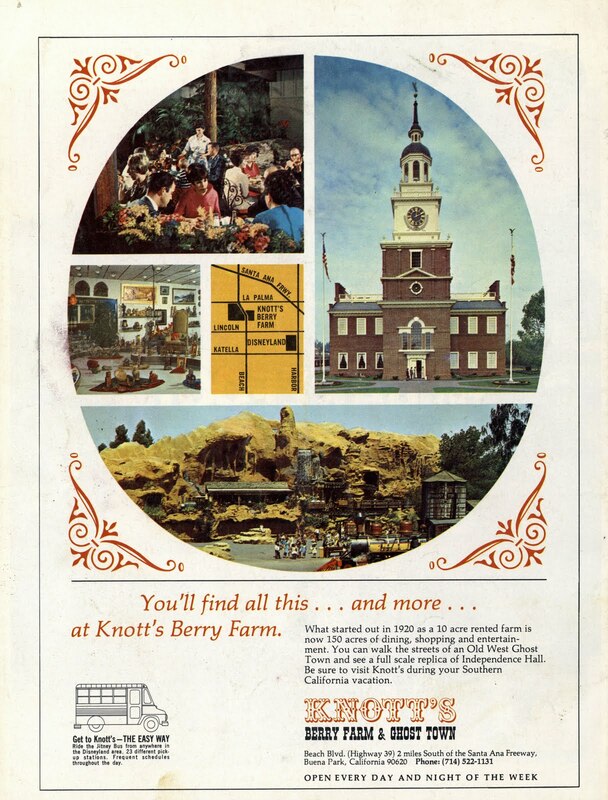 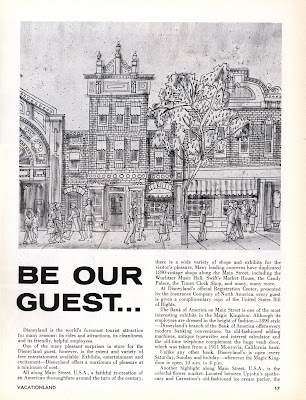 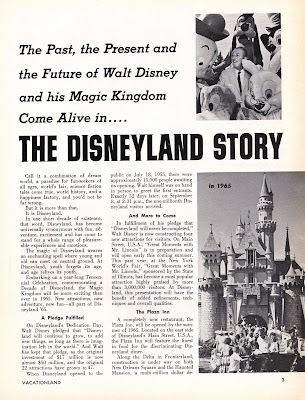 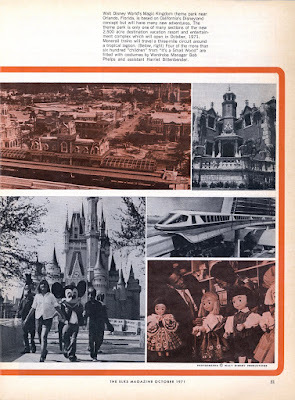 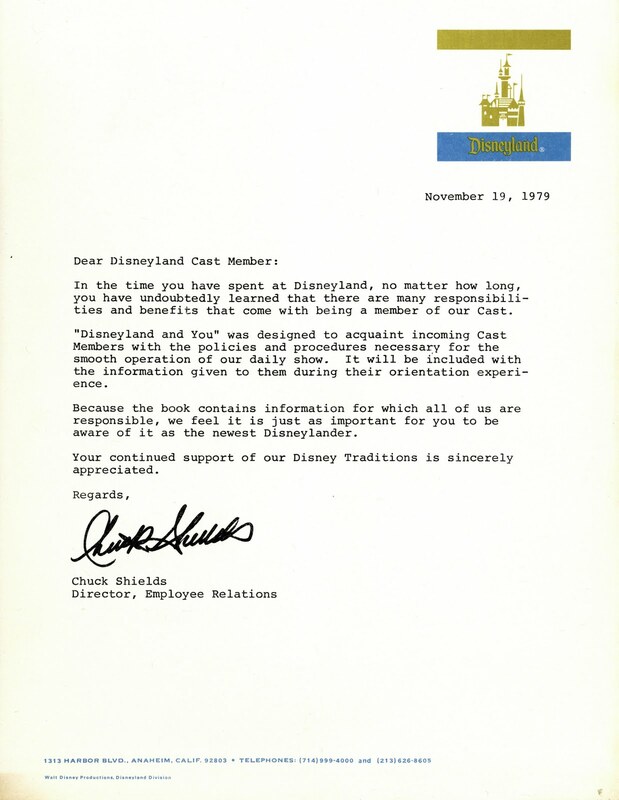 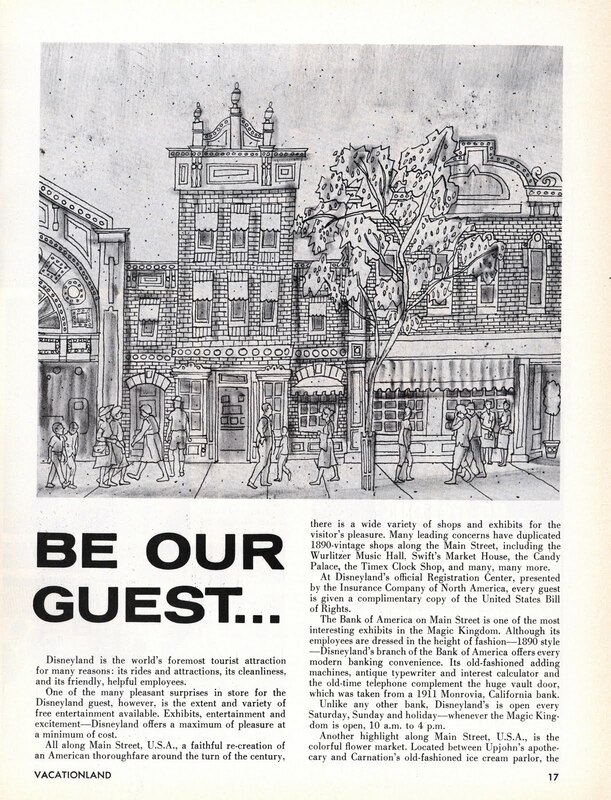 Its pretty much a thorough “report” on the park with a note that 1970 was the first year the park exceeded 10 million visitors (something it would not repeat again until 1977 – link). 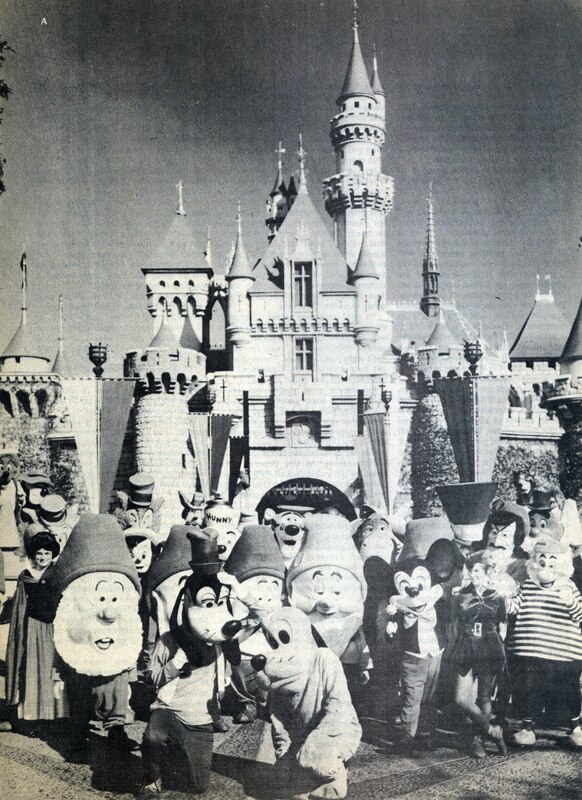 Do you think these guys knew they’d be moving in right next door in a couple of decades? Vice President Richard Nixon visited Disneyland; I’ve never heard that before… Wow, now that’s an entrance to Tomorrowland! Disneyland and You…. 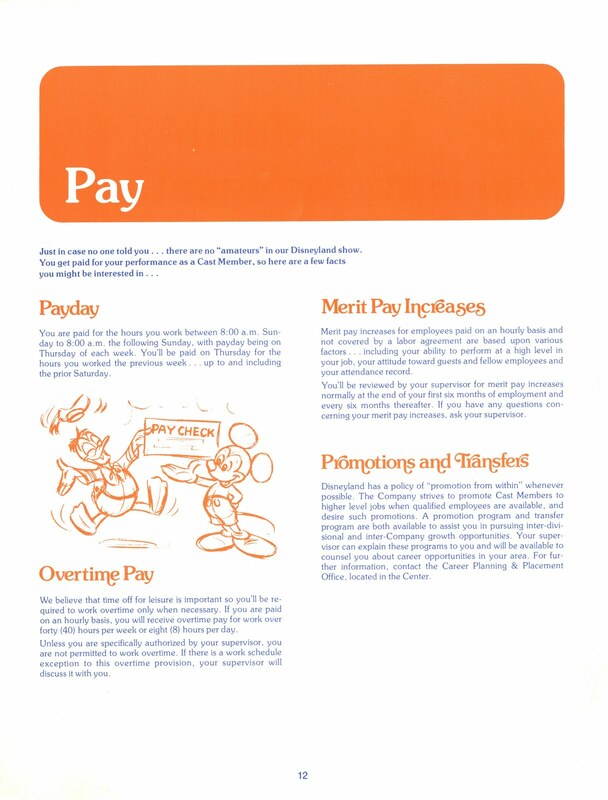 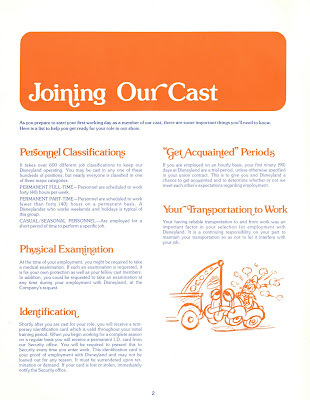 A guide book for the new Disneyland Cast Member circa 1979. Chuck Shields would like to share this book with you to acquaint you with the policies and procedures necessary for smooth operation of our daily show. Welcome newest Disneylander. 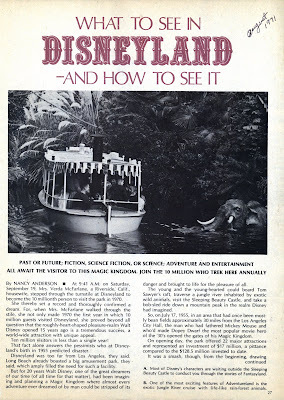 You can download the entire book at the link below. 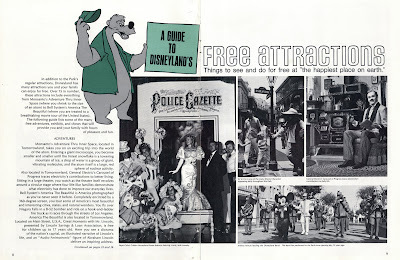 Here are a few select pages from book; I like how they used the classic Disney characters.